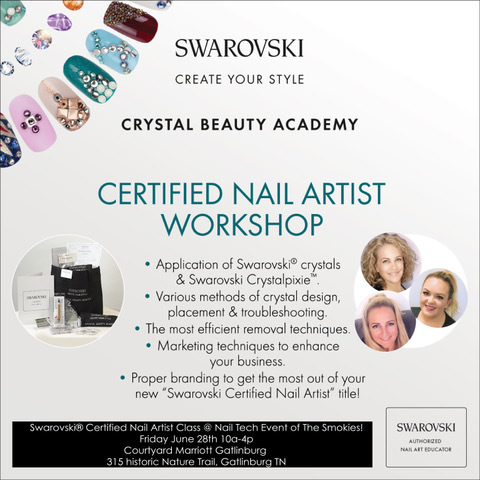 Get certified by Swarovski with Authorized Nail Art Educators Traci Dungan, Ami McClure and Jessica Scarff in this full day nail artist workshop. Full kit from Swarovski, Certificate and Lunch is included. Learn about Swarovski, which crystals to use and all application techniques to keep your crystals on for 2+ weeks!